My short answer to your question will be it won’t. This is from my experience as a businessman who had been involved in a similar trade for many years. 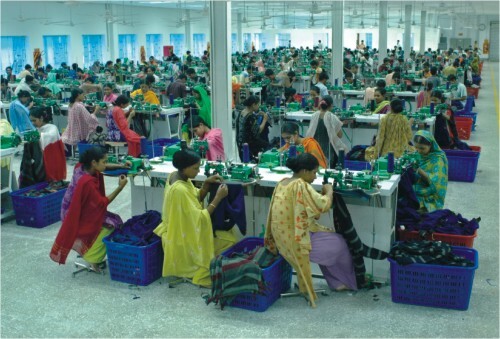 In the case of the garment industry, the buyers had been advocating higher wages for garment workers for a very long time, not to see that it will come and eventually land on their lap. Many say it was a PR exercise on their part, I don’t think it was, simply because too much effort went in from their side. Why were they doing this, if it is only low wages that they seek ? I think they are much more aware of the ground realities than we are. While we are waiting for ‘credible’ research to tell us how much are the cost inputs that finally translate into price for the buyer, they ask the factory owners and some do tell them. I myself know from some of my garment owner friends (in some of their more disarming moments) that for every 100 of the final price to the buyer (not the price to the consumer) 31 comprises of wages + profits, of which roughly 9 is wages 22 profits. When it comes to workers wages our garment buyers would naturally think the buck should stop at the factory owner’s doorstep. I think it is also important I think to make that distinction between ‘wages’ and ‘the wage bill’, the latter is what matters to the factory owner. The ratio of the wage bill in proportion to total value of output can remain the same with the same number of workers and higher wages if productivity goes up, thus keeping the unit price same. Because most of the factories produce at the lowest end of the efficiency ladder, simple shop floor management enhancement, improved skilling, better equipments and yes, better working conditions can deliver much required efficiencies in these factories. It will be difficult for us to get the buyers to pay for such inefficiencies when they know that this will not incentivise the factory owners to do it themselves. You will note, as a smart factory owner, Rubana Huq knows this, and in her recent write-up quite wary of advocating that the buyers ‘subsidise’ the factory workers wages, which in turn would mean ‘subsidising’ factory owner’s profits, much that we would want them to. If you take the strategy of naming and shaming the buyers, they will simply go away, rather than pay a higher price for the product, as they will deem the strategy grossly unfair on the part of the factory owners. On whether, most garment workers are getting higher than minimum wages, here is a study done by the organisation Fair Wear Foundation that shows that they aren’t. I know this is a very popular claim made by the factory owners for obvious reasons, but not borne out by facts. We must remember when the minimum wages were doubled in 2010 none of the factories cost themselves out of the business, despite extreme resistance by the then President of BGMEA who threatened closure of hundreds of factories, neither did the price to our buyers go up even marginally. “In Europe and the U.S., just about every substantial step forward in workplace safety and employment rights was wrested from unwilling employers by organised labor”. “This means eschewing simplistic labels (“ethical,” “green”) that ascribe products with a magical quality that absolves us from culpability. The truth is that the world is complicated, and supply chains are tangled and dynamic. Labels are a good way of giving consumers partial information, and maybe selection between alternative products might do some good: Fair Trade and similar initiatives have had some unequivocal successes. But let us never delude ourselves that they capture the whole story or that they do not often bring serious unintended downsides. “Ethical consumption” might be a great way to raise awareness and maybe leads some to serious engagement in the real economics and politics of global supply chains. But if it serves to close our minds in soporific smugness, it is a very bad thing indeed”. It is important to make that distinction between ‘good player’ and ‘bad player’, but it is also necessary to see how both are intertwined, and perhaps culpable. We do have world class factories with working conditions comparable to anywhere in the world, but these came out of a need to go beyond extracting profits out of low cost labour and adding value in terms of manufacturing higher end products and improved productivity. The factories are owned by owners relatively wealthier (making more profits ? ), working out higher margins not from low labour cost alone. Nothing wrong with that, but the problem lies in the fact that these same producers are also sold on profits they can make from a lower cost production function from the 3rd tier factories (Rubana’s example), thus end up taking orders for products they will not produce in their factory but outsource to the 3rd tier ones that they subcontract or literally run as their own. It is common knowledge in Bangladesh that most of the top producers in the country have now become order-procurers playing the role of a buying agent rather than a producer. It is very easy to do that. They take the order in the name of their factory, pass off the manufacturing to these 3rd tier factories, the manufactured goods are delivered to their godown prior to shipment. On a related but separate note, this developed the popularity of the Inland Bill of Lading, a banking instrument that the Halmark Group later used for their fraudulent practice which was recently exposed. So I don’t think the problem will be so simple as Rubana suggests, that the 1st tier factories become shining example for the 3rd tier factories on which they will ‘impose’ their standards. How can they do that when they are wilfully perpetuating the the sub-standards in these factories ? Please note, most of us overlooked this statement of hers when she was describing the 1st, 2nd, and 3rd tier factories: “The first tier factories are also the ones who run many third tier factories as their own or as their sub-contract establishments”. If and when the wages are increased, the unnatural margins which allow for this to happen will be depressed, creating a disincentive to carry on such activities for the larger producers. Unless that happens, the 1st tier factories will neither have the moral authority nor the will to bring changes in the 3rd tier factories in spite of having better standards in their own factories. My views would be only from the point of view of a businessman, although it may appear that I am supporting only the interest of the workers. What others are saying is very correct; the departure of the buyers will be disastrous for our economy. My only point is, all this was predictable and we didn’t do anything about it. Not very long ago (but before Tazreen and Savar) I argued with my friends the urgent need to increase workers wages, improve the workings conditions (all of which means costs to the industry) before we are compelled to do so, as we are doing now. Otherwise the problem would be that we may fall into the danger of doing too little too late if it is part of a damage control exercise rather than part of a strategy. At that time I was mistaken to be a ‘leftist buddhijibi’, the worst kind of name you can call people these days. The issue isn’t, and never was, whether the garment industry is good or bad for our economy, but what it is. Any country with a large number of agrarian workers will have a pool of low wage workers as competitive advantage to draw on for industrial transformation. As with many other countries with similar characteristics, Bangladesh too wisely capitalised on it. But three decades on, unlike other such countries who eventually moved on to a trajectory of adding value, triggered by a rise in wages, we choose to cling on to our natural ‘comparative advantage’ with its obvious disastrous consequences. This happened because even though the garment industry is the ‘sacred cow’ of our economy, we forgot that if we milk it to death we will be sacrificing it on the alter of economic nihilism. Farhad Mahmud is an entrepreneur working in the carbon consulting industry. Called a Leftist buddhijibi? I would wear that with pride, Farhad, and tell the smarmy magnates in Gulshan to jump in the (toxic) lake! ha ha. that’s how it is here. its all branding. this one has fallen from grace for a while now…. An excellent article which I find compelling and echoes my own views on the garment industry situation.